Well, so far so good with the ice, let's hope it stays that way although now it has actually started doing something so I guess we shall see. 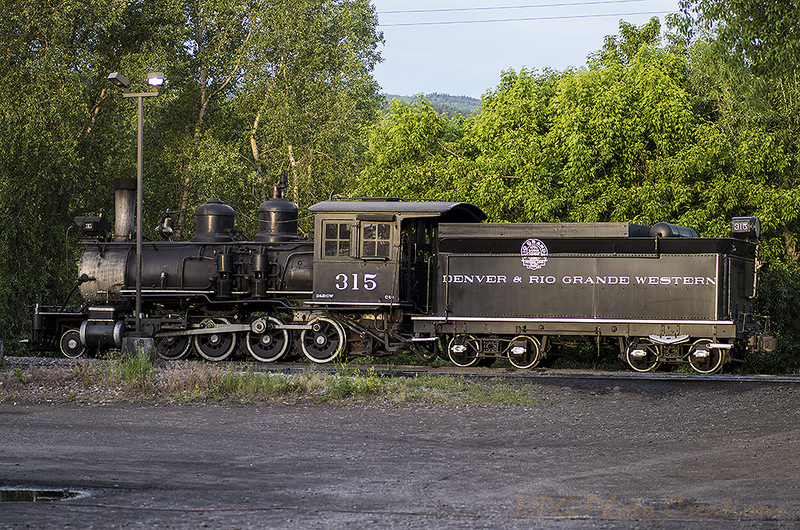 My image today is of Denver & Rio Grande Western 315 which was sitting in the Chama Yard of the Cumbres & Toltec the last time we were there. The D&RGW locomotive 315 is the “Flagship” project for the DRHS. After seven long years and countless hours, volunteers were responsible for the engine running again. It first ran under it's own power in 2007 and ran some excursions up until 2010 but then needed more restoration as other problems were found. It began running special excursions in 2013 on both the Cumbres & Toltec and Durango & Silverton.